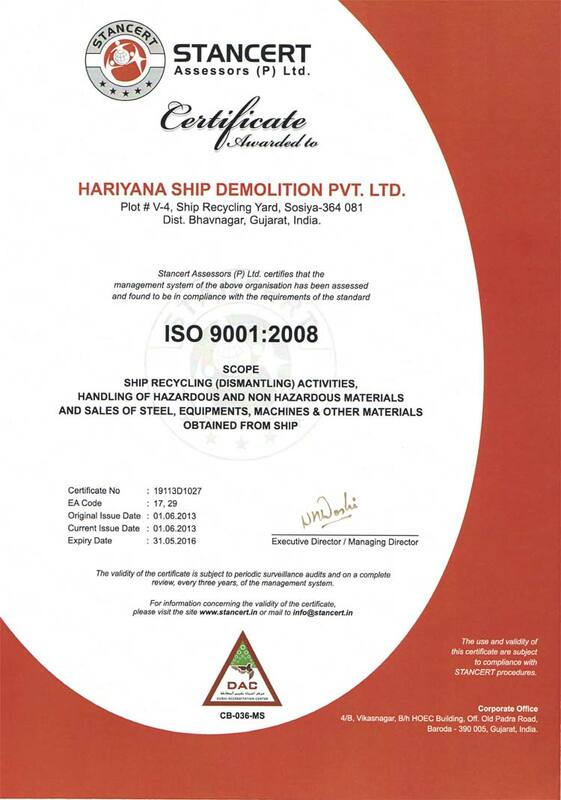 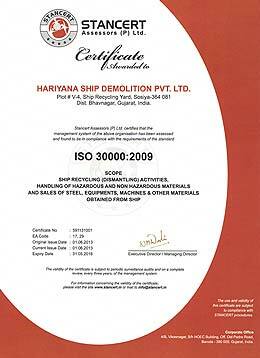 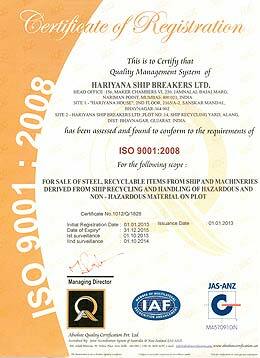 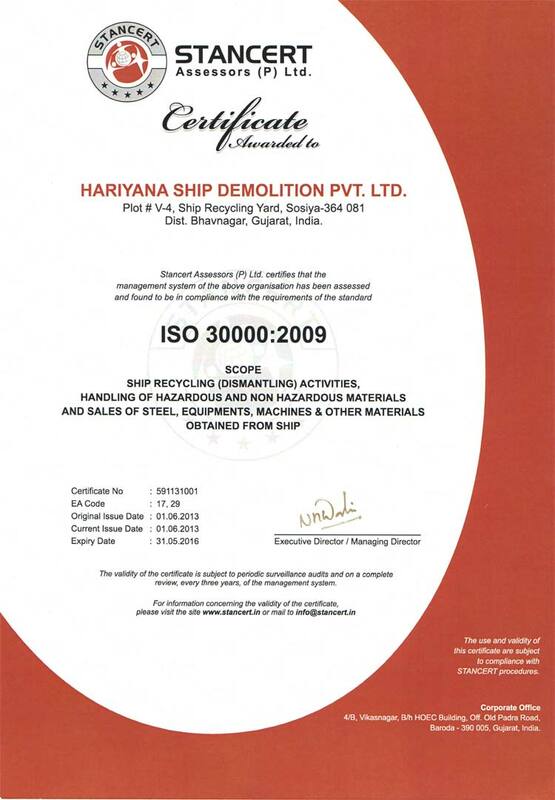 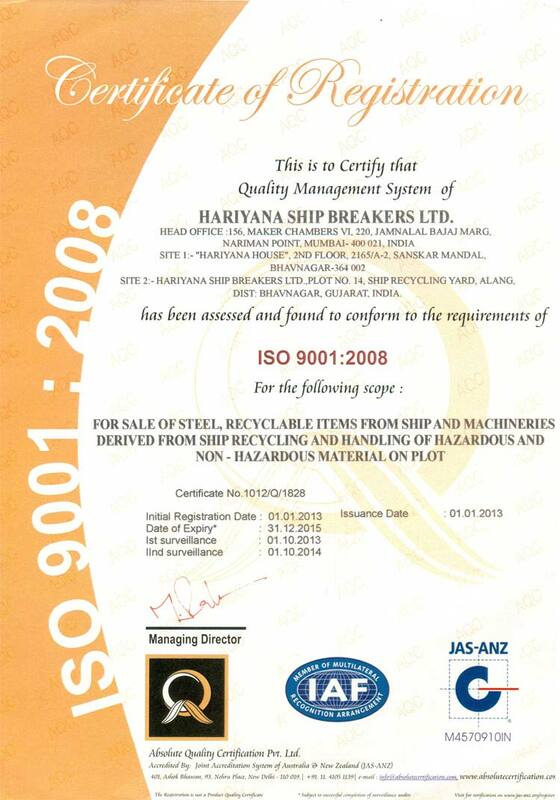 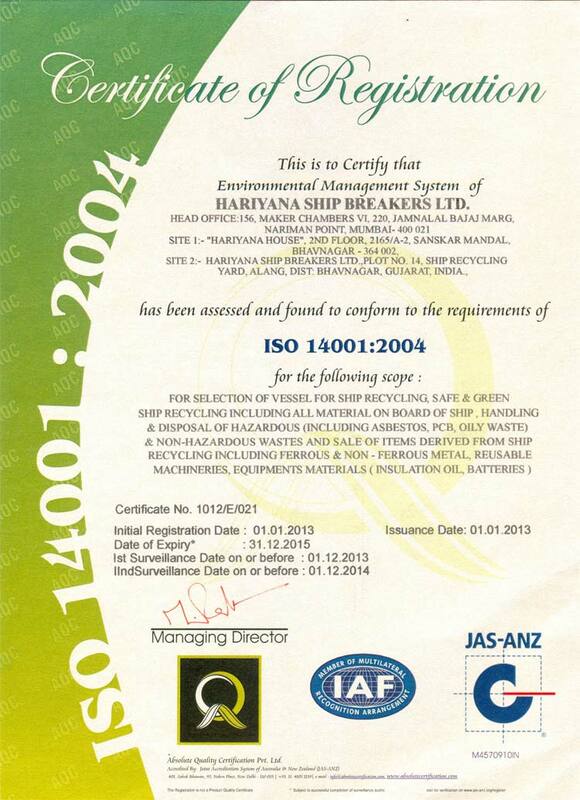 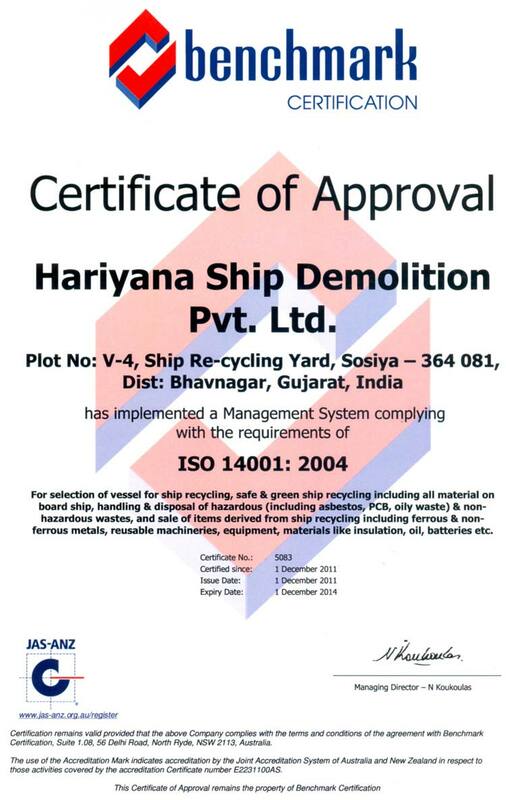 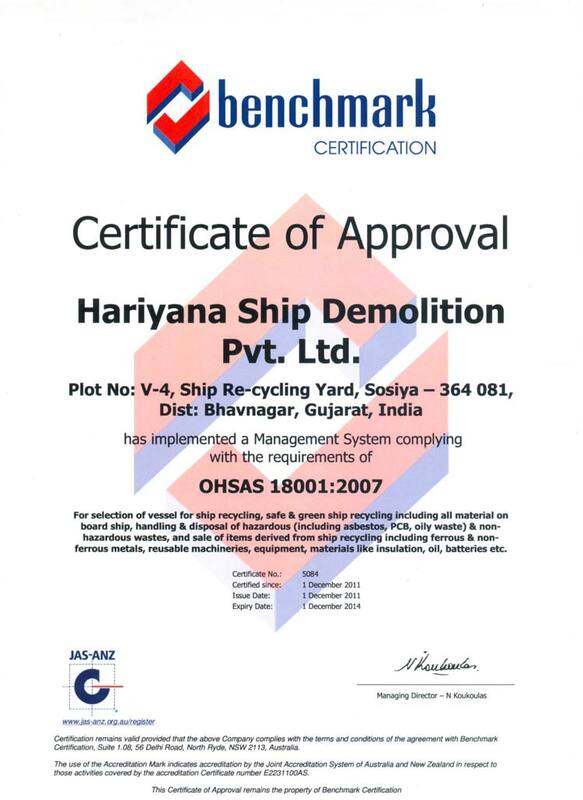 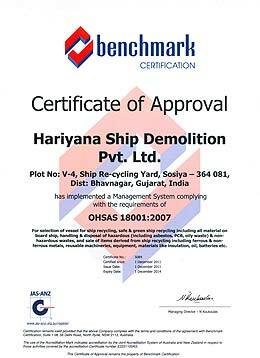 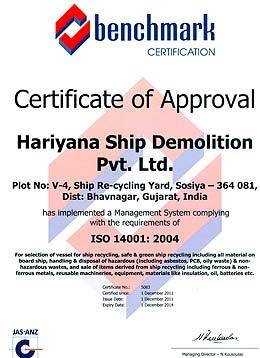 Hariyana Group’s concern for safety and environmental management in ship dismantling and recycling is not restricted to implementing best practices and compliance to applicable national and international protocols but is echoed in the group's management systems including ISO 9001-2000/ 14001-2004/ 30000-2009 & OHSAS 18001-2007 certified by Benchmark Certification. The group’s has achieved all the necessary certifications and its management follows industry’s best practises. 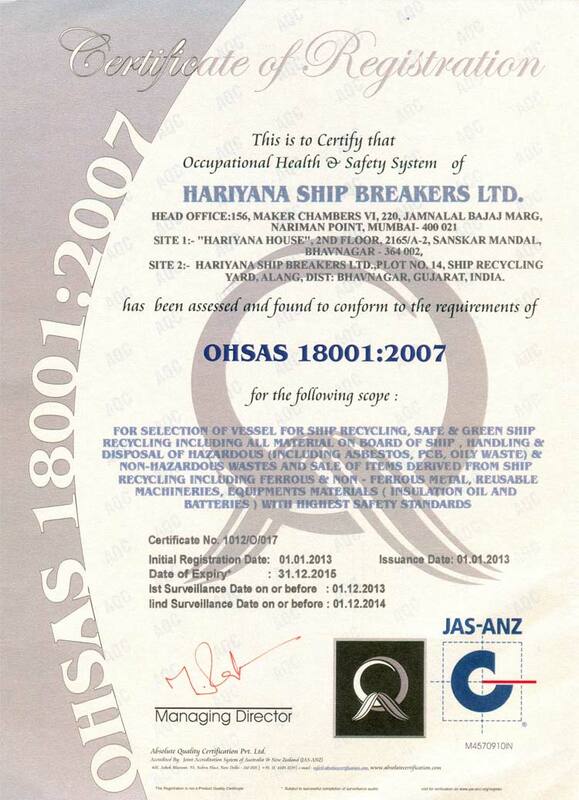 Effective risk management is fortified by careful identification, assessment and advice to employees.